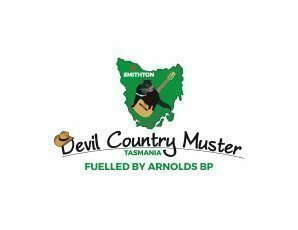 The Devil Country Muster, now in its seventh year, is Tasmania’s premier Country Music event. This year's festival features great contemporary and country artists from all over Australia, including some great Tasmanian talent. Headline artists this year include Gina Jeffreys, Justin Standley, Graham Rodger and Anne Kirkpatrick, and many other bluegrass and country artists. CAMPING IS FOR EVENT ATTENDEES ONLY. ON ARRIVAL YOU MUST PRESENT YOUR ENTRY TICKET ALONG WITH YOUR CAMPING TICKET. Camping is available at the festival site – fees apply. You can pay online or at the venue. Please note Sunday only requires a gold coin donation upon entry. CAMPING IS FOR EVENT ATTENDEES ONLY. ON ARRIVAL YOU MUST PRESENT YOUR ENTRY TICKETS ALONG WITH YOUR CAMPING TICKETS.